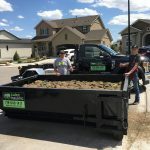 This customer needed a Sod Removal Dumpster Rental for a brand new home built in Wolf Ranch Subdivision of Colorado Springs 80904. The home was purchased in late Fall 2017 and the sod installation was not installed until late Fall 2017, and it was a rush job to get completed. When spring 2018 came the sod did not make it through the dry winter. The sod had a warranty, and the sod company furnished and reinstalled new sod free of charge. Before the new sod could be installed, the homeowner was responsible for removing the dead sod. He rented a sod cutter from Bill’s Tool Rental. 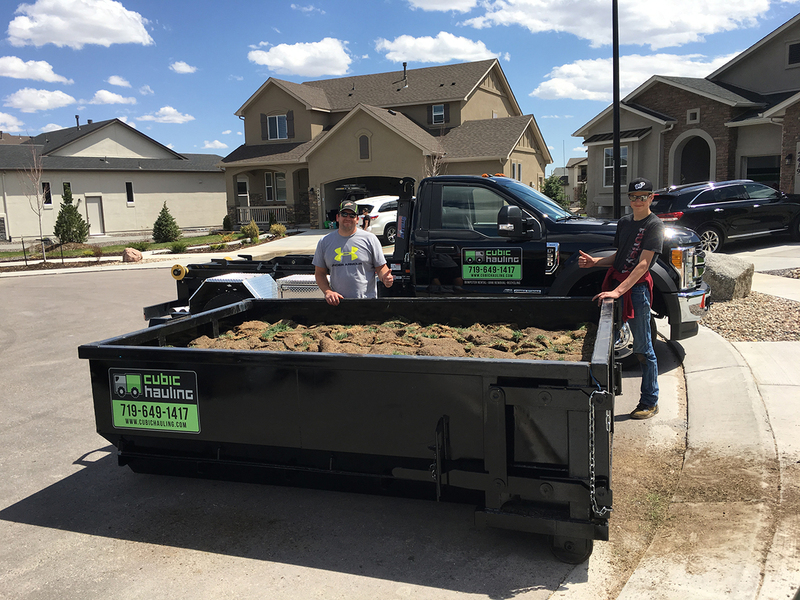 The customer hired Cubic Hauling to rent roll off dumpsters and haul off the dead sod that had been removed from the backyard. Cubic Hauling supplied two 5 yard dumpsters and recycled the sod at Rocky Top Resources on Sod Mountain. Our customer was happy to get their dead lawn replaced with fresh brand new sod a few days later! 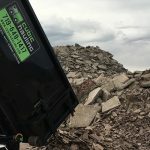 Cubic Hauling offers residential dumpster rental in Colorado Springs and the surrounding metro areas. We serve commercial & residential customers for construction cleanup, junk removal, hauling, recycling, waste removal, and more. 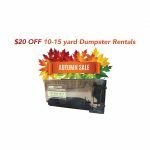 To order a dumpster, call (719) 649-1417 or submit a Request Online.